I pretty much started this blog with a Descendants review, so I guess it makes sense that I´d finally return to it after watching Descendants 2, which premiered via Disney Channel pretty much 2 weeks ago. 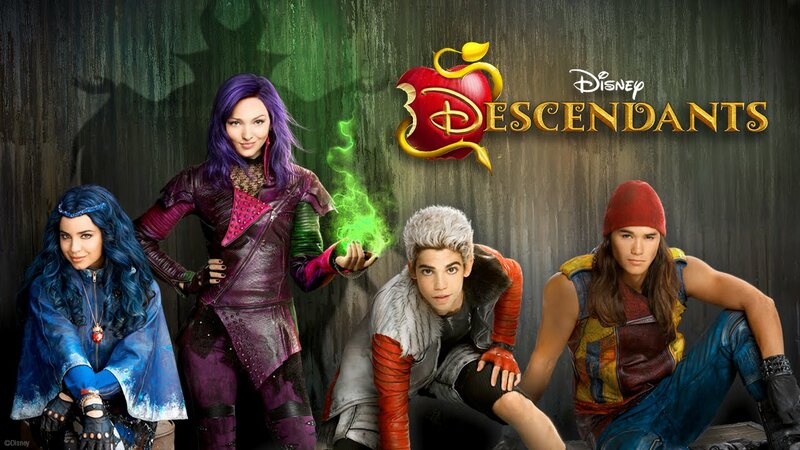 So… as some of you might know, I´m a big Disney fan -which includes the Disney Channel-, so I usually watch all the of its DCOMs –Disney Channel Original Movies– more than once, and while I have liked some other movies that have come out since Descendants –Invisible Sister, The Swap– I have to admit that Descendants was still my favorite. Therefore you can imagine how anxious I was to watch the promised sequel, especially when the heists were so high, ´cause sequels always have it difficult, since they not only have to live up to the hype of the previous movie but also ideally do better. So… How did Descendants 2 do? Usually, I don´t do this, I don´t compare series or movies reboots to the original, then again… this is probably the first time I have seen the original movie and the reboot on the same day. So.. Adventures in Babysitting is the most recent Disney Channel Original Movie -although I question the original part considering it´s a reboot- with Sabrina Carpenter (Girl Meets World) and Sofía Carson (Descendants) as Jenny and Lola, two young women that thanks to an accidental cellphone swap end taking care of some kids while running around the city at night with two “bad guys” chasing them. The movie was fun, entertaining and while a lot f the time I felt like Sofia´s character just plain out a moron more than a bad girl, I liked it! As a long fan of the fantasy genre, books, fairy tales and more or less of the DisneyChannel, I´m not ashamed to say that I was anxiously waiting for this movie. What was there not to love? I quite enjoy the Disney musicals when they are well executed -I fell victim to Highschool Musical for a long time-, I also like fairy tales, find Dove Cameron entertaining on Liv&Maddie and I have a big personal interest in the portrait of trouble children by setting; so obviously my expectations were perphaps a little to high for a DisneyChannel movie. The movie didn´t really dissappointed me. It was enjoyable and I even watched it with my mother ´cause she got curious after watching the tv ad; and I guess there lays the problem; I strongly believe that the film should have been a movie theater release -considering the resent box offices success of the real life fairy tale genre-. And though I liked some of the songs “Don´t you wanna be evil”, “If only” and “Be our guest”; I think Disney shouldn´t have pushed so much for it to be a musical, ´cause while the musical numbers were good and the choreography was ok, the integration of said numbers into the movie was kind of disjoined -this wasn´t help by the fact that they were very far in between-.